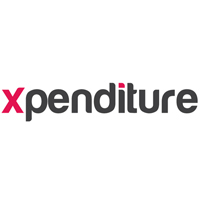 Xpenditure is a cloud-based service to help people manage their business expenses better. Whether you’re a one-person operation who has trouble keeping on top of your receipts, or a business with employees and expense reports, Xpenditure manages the end-to-end management of these expenses, from receipt all the way into our Sage One Accounts service. As a user, all you need to do is take a photograph of your receipt and Xpenditure will take care of the rest. During our demo, the team photographed a number of receipts and Xpenditure could read and understand the contents of each. The system achieves this by using multiple OCR systems at the backend. These OCR systems contain all the receipt templates you could possibly imagine meaning Xpenditure can read the contents and extract the data from virtually any photograph. Once the information has been extracted, importing a receipt into Sage One is painless. Without any typing whatsoever the team showed me 3 or 4 different receipts raised as Expenses in Sage One in a matter of minutes. This is pretty powerful timesaving stuff! Further stand out features include multi-currency capabilities of Xpenditure. If you travel a lot then Xpenditure will recognise the currency of the receipt and, using real time exchange rates, suggest the appropriate exchange rates to convert to. All in all, Xpenditure is a really comprehensive service for the small business to manage their expenses. The service comes with a free 30 day trial so you can try it out for yourself with no commitment. If you’re not already using Sage One you can sign up for a free 30 day trial too at http://uk.sageone.com/accounts/. To read more about Xpenditure visit the Sage One Add Ons page.